SUPERIOR VALUE ON CHARMING BUNGALOW ARCHITECTURE SET PRETTILY ON DRAMATICALLY DEEP & MAJESTIC LOT - YES, WE&apos;RE 340&apos; DEEP! SPRAWLING FRONT LAWN AND IDYLLIC CURB APPEAL ON THIS MAGNIFICENT WOODED PROPERTY INCLUDING SIGNIFICANT OUTBUILDING WITH NUMEROUS ROOMS AND UTILITIES. THINK STORAGE, HOBBIES, HE|SHE CAVE! 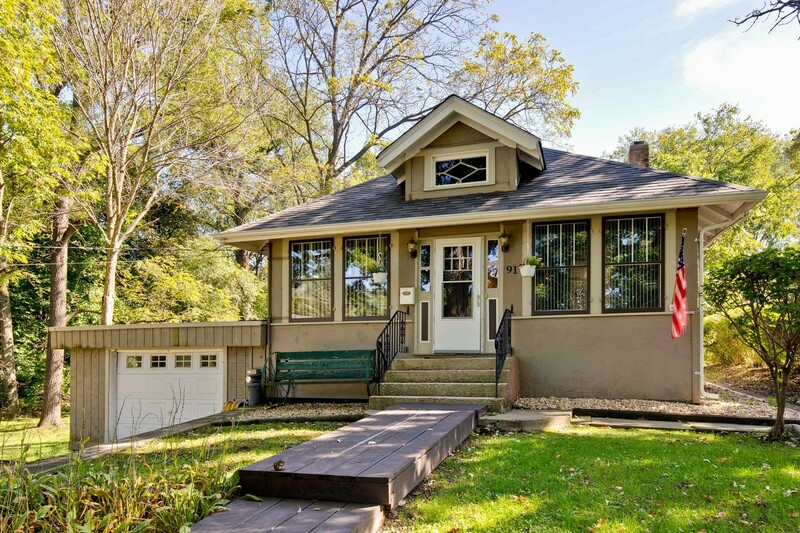 SO CLOSE TO THE HEART OF DOWNTOWN CRYSTAL LAKE YET TUCKED AWAY IN YOUR OWN WORLD. SOME UPDATES INCLUDE: DURABLE WOOD LAMINATE FLOORING, TASTEFUL INTERIOR PAINT-WHILE RETAINING VINTAGE CHARACTER AND CRAFSTMAN DETAILS: AUTHENTIC FRONT DOOR, PANELED CEILINGS, SOME ORIGINAL CABINETRY. RUSTIC STONE FIREPLACE CENTERS THE LIVING ROOM AND BEGS TO BE THE GATHERING SPACE. FULL FINISHED BASEMENT IN LOVELY WARM GRAYS WITH BEDROOM AND FAMILY/REC ROOM COULD BE A PERFECT GET-AWAY SPACE. SO CLOSE TO SCHOOLS|COMMUTER TRAIN|DOWNTOWN SHOPPING & ENTERTAINMENT; EMBRACE THE IN-TOWN LIFESTYLE IN ESTATE-ESQUE SETTING. NEW ROOF AND GUTTERS. PROPERTY NEXT DOOR AT 95 OAK IS ALSO AVAILABLE MLS#10096121.